The European Commission has given its unconditional approval for the UK’s three largest mobile network operators to form a joint venture company to introduce NFC mobile payments and promotional services in the UK. The European Commission has approved plans, first announced in June 2011, by the UK’s leading carriers to form a joint venture to launch commercial NFC services in the UK. 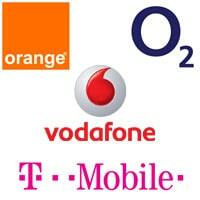 “The European Commission has unconditionally approved, on the basis of the EU Merger Regulation, the proposed creation of a joint venture between Vodafone, Telefónica and Everything Everywhere in the field of mobile commerce in the UK,” the European competition regulators have announced. “Mobile commerce is a nascent sector that may radically change the consumer buying experience in the next few years,” says Joaquín Almunia, commission vice president in charge of competition policy. “As a result of its in-depth investigation, the Commission concluded that the joint venture will not likely lead to a significant impediment to effective competition in the EEA within the meaning of the Merger Regulation,” it adds. “The market investigation revealed that a number of alternatives already exist and much more are very likely to emerge in the near future to ensure adequate competitive pressure on the joint venture’s mobile wallet platform,” the Commission explains. “Some of these alternatives may rely on a secure access to the SIM card of the mobile handsets in order to store sensitive data like bank account numbers, etc. This access will be controlled by the mobile network operators, including in particular the three parents of the joint venture. “However, other alternatives exist which do not store sensitive data on SIM cards and it is unlikely that the creation of the joint venture will allow the parent mobile network operators to block these alternative routes to market using technical or commercial means. Everything Everywhere, Telefonica UK (O2) and Vodafone UK welcome today’s news from the European Commission that their mobile commerce joint venture (“JV”) has received unconditional clearance. At the heart of the JV is a desire to bring to the UK an easy and effective solution for businesses to create and for consumers to enjoy mobile marketing and wallet services. With EC clearance received, the job of getting the JV up and running as quickly as possible can begin, starting with the hiring of the necessary people and the creation of the new company. The mobile marketing platform is expected to be the first part of the business that is brought to market. The JV has the potential to transform the mobile marketing landscape in the UK. It will remove a number of the barriers that currently inhibit growth and create a single channel with access to millions of UK consumers at launch. It will provide a single contact point for media agencies, retailers and brands, enabling them to create campaigns that will reach millions of opted-in mobile users. This will apply across the majority of handsets, operating systems and mobile operators. For consumers, this means they will be able to receive the discounts and offers that they want to receive from the brands that are relevant to them. In mobile payments, the JV will benefit businesses and consumers by accelerating the deployment of mobile wallets and associated services in a secure way. Through the solution offered by the JV, businesses will be able to connect once in order to offer a wide variety of mobile wallet services – including payment and loyalty cards – to millions of consumers on the majority of handsets, operating systems and mobile operators. It will give consumers a simple and secure shopping experience, allowing them to purchase goods and services using their handsets in physical locations such as shops, using contactless technology, as well as online. The shareholders remain committed to making the JV services open to all, including all operators and MVNOs, third party publishers, banks, advertising agencies, retailers and any company that wants to engage in this space. The partners in the JV believe it has an important role to play in helping to keep the UK at the forefront of digital innovation, creating jobs, promoting innovation and stimulating competition.